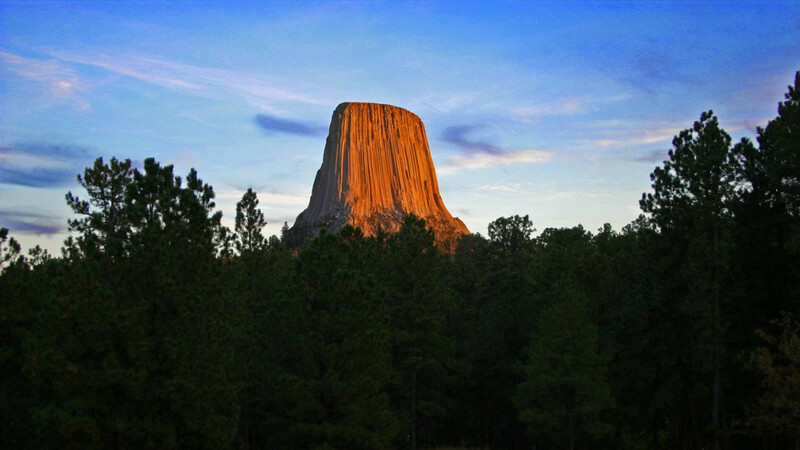 Small town hospitality, ample amenities, rich history and nature's best await you in Devils Tower Country! Wyoming's territorial legislature, in an effort to grow the state, created Crook County in 1875. Their act, however, only created the county on paper and it was another 1- years before Crook County truly became a legal entity.The Treaty of 1868, signed at Fort Laramie, prohibited white settlers from passing through the area without explicit permission from the tribes. Rumors of gold circulated in the 1870s. In 1874 General George Armstrong Custer led an expedition through the Black Hills. His confirmation of gold resulted in a rush of colorful characters pursuing the American dream and ushering in expanded conflicts between the United States Army and Native Americans. Custer’s accounts of the trip highlight the vast beauty as they arrived in what is today the Wyoming side of the Black Hills. Over 140 years after Custer’s trip to the area, the beauty continues to awe area travelers. Devils Tower stands at the heart of Wyoming’s Black Hills and is surrounded by lush flora and fauna not seen in other parts of Wyoming. Northeast Wyoming’s wildlife – elk, turkeys, whitetail deer, mule deer, antelope and more – add yet another element to the beauty.To learn more about the county’s history and culture, download the tour on the TravelStorysGPS app onto your smartphone.